This is such a good book that I wish I had read it earlier (but fortunately found it is not too late). The gist of the book is about the right mind set for starting up companies (it was published right before the dotcom bubble burst) but I believe the main points are equally applicable to other professions: (1) do what you want to do for the rest of your life and (2) be ambitious, aim for the very best, and do not settle for mediocrity. 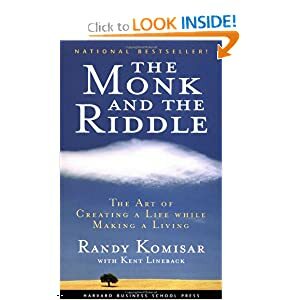 Read the book to figure out what the riddle is about.